Citigroup CEO Vikram Pandit Resigns ; Michael Corbat will be New CEO of Citi. John Havens, Citigroup's president and chief operating officer, is also resigned. A statement from Citigroup Chairman Michael O'Neill said Michael Corbat, previously chief executive for Europe, Middle East and Africa, would succeed Pandit as CEO and as a board member. "We respect Vikram's decision," Chairman Michael E. O'Neill said. "Since his appointment at the start of the financial crisis until the present time, Vikram has restructured and recapitalized the company, strengthened our global franchise and refocused the business." It seems Shares of Citigroup is rising after the resignation of Vikram Pandit. Citigroup is 3rd largest bank in U.S. The board's relationship with Pandit was already under pressure after shareholders rejected the CEO's pay package in an advisory vote. He was awarded more than $15 million in 2011 compensation, but 55 percent of shareholders voted against it at an April meeting. 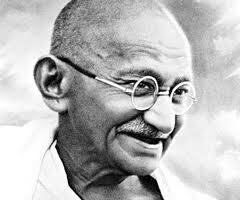 Born in Nagpur, India, the 55-year-old Pandit obtained two electrical engineering degrees and a doctorate in finance from Columbia University. He joined Citigroup in July 2007 when the bank acquired his hedge fund and private equity firm, Old Lane Partners LP, for $800 million. Citigroup had to shut down Old Lane the next summer, an early black mark for the executive. He joined Morgan Stanley in 1983 and ultimately rose to the post of President and Chief Operating Officer of the company's institutional securities and investment banking businesses. 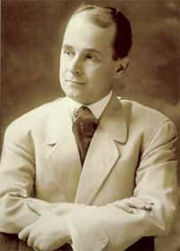 Pandit left Morgan Stanley to become a founding member and chairman of the members committee of Old Lane, LP. When Old Lane was acquired by Citi in 2007, Pandit became Chairman and CEO of Citi Alternative Investments. He later led Citi's Institutional Clients Group, and on Dec. 11, 2007, was named Citi's CEO. Upon his appointment, Pandit embarked on a plan to refocus, recapitalize and restructure Citi during the toughest economic climate since the Great Depression. With the goals of long-term profitability and fueling economic recovery and growth at its core, Pandit's strategy for building a new Citi is centered on the company's historic strengths and unique competitive advantages: its global franchise, unique emerging market footprint, innovative spirit and talented and diverse employee base. At Citi, Pandit has made Responsible Finance a priority. Citi is committed to providing choice, control and transparency for clients, managing risk responsibly and contributing to economic growth. From innovative foreclosure prevention programs that have kept more than 1,000,000 Americans in their homes to a new, disciplined approach to risk management, Responsible Finance is being engrained throughout Citi's practices and culture. Mr. Pandit serves on the boards of Columbia University, Columbia Business School and the Indian School of Business. A naturalized citizen, he lives in New York City with his wife and two children. 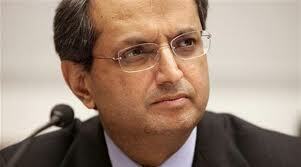 While CEO of Citigroup in 2007, Vikram S. Pandit earned an annualized compensation of $3,164,320. In 2008, he earned a total compensation of $38,237,437, which included a base salary of $958,333, stocks granted of $28,830,000, and options granted of $8,432,911. 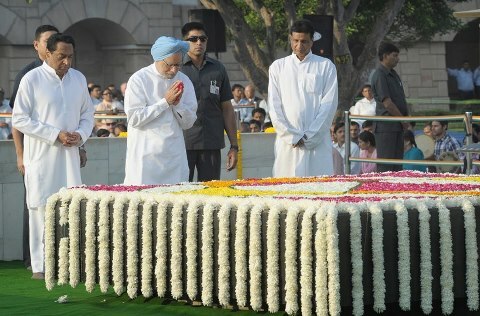 In 2008, Vikram Pandit was awarded the Padma Bhushanby the Government of India. 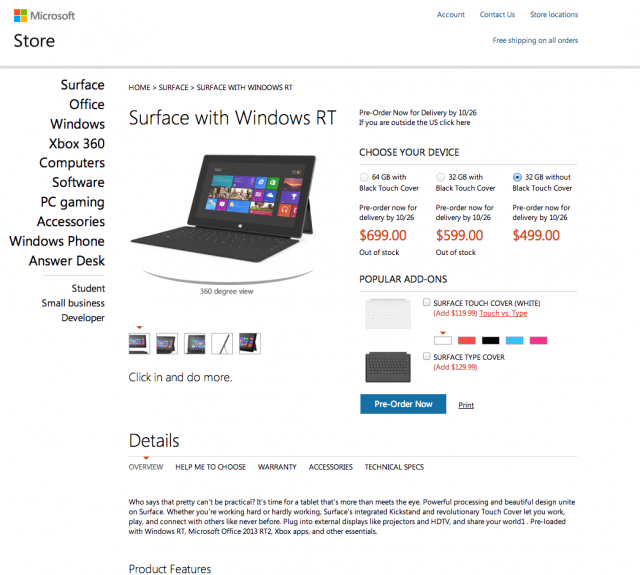 TechCrunch has informed that Microsoft's Tablet Surface prices were leaked out. It seems Microsoft has set the price of Tablet Surface too high. The Surface starts at $499 for an entry-level 32GB version without the Touch Cover. $599 will be price if you want get it with Touch Cover. And, 64GB version with the touch cover is priced at $699. See below the Screenshot (published by Techcrunch) of the Microsoft Store. It seems Microsoft has pulled out this screen now. Watch the below video to know about Microsoft's Surface Tablet. And, Microsoft has released its first advertisement for the Surface Tablet. Watch below this Commercial. 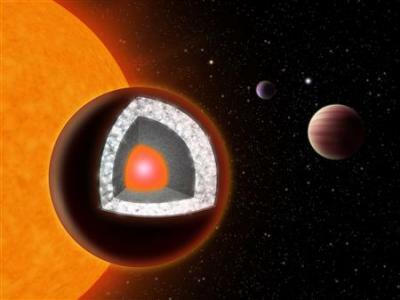 Astronomers have discovered a planet twice the size of Earth made largely out of diamond. 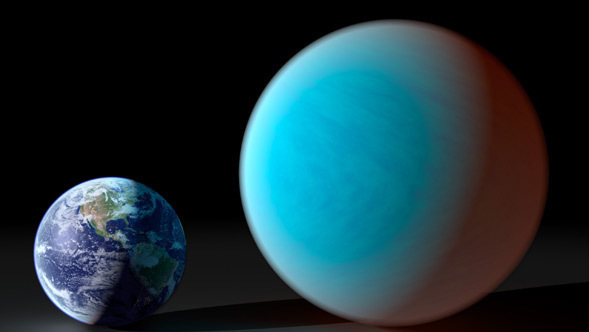 This planet is named as '55 Cancri e', and it orbits a sun-like star in the constellation of Cancer. This planet is discovered by a U.S.-Franco research team. Its radius is twice that of Earth's but it is much more dense with a mass eight times greater. It is also incredibly hot, with temperatures on its surface reaching 3,900 degrees Fahrenheit (1,648 Celsius). "The surface of this planet is likely covered in graphite and diamond rather than water and granite," said Nikku Madhusudhan, the Yale researcher. And, it is estimated that at least a third of the planet's mass, the equivalent of about three Earth masses, could be diamond. It takes less than 18 hours to complete an orbit and is the innermost known planet in its planetary system. Like the majority of known extrasolar planets, 55 Cancri e was discovered by detecting variations in its star's radial velocity. This was achieved by making sensitive measurements of the Doppler shift of the spectrum of 55 Cancri. 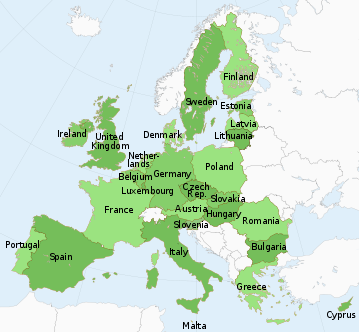 Austrian skydiver Felix Baumgartner is ready to leap from the edge of space, 23 miles above earth. The 43-year-old former military parachutist from Austria planned to take off in a 55-story, ultra-thin and easy-to-tear helium balloon that would take him into the stratosphere for a jump . 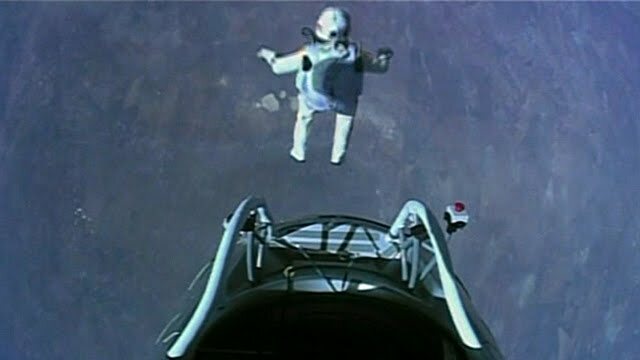 Watch below one of the test jumps of Felix Baumgartner. If the mission goes, Baumgartner will make a nearly three-hour ascent to 120,000 feet, then take a bunny-style hop from a pressurized capsule into a near-vacuum where there is barely any oxygen to begin what is expected to be the fastest, farthest free fall from the highest-ever manned balloon. Watch the below video which shows the simulation of this mission by giving various details such as altitude, speed, temperature and pressure in various phases such as Launch, Ascent, the jump, stratosphere, descent and Landing.. When he jumps, Baumgartnerwill accelerate from zero to 690 miles per hour in 35 seconds, and become supersonic for almost a minute of the roughly 10-minute leap. This feat could ordinarily only be accomplished by a supersonic jet.. But the 43-year-old Felix Baumgartner believes he can do it using only his body. "We are using a helium balloon to get to the stratosphere, but to get there we have to transit the death zone," Jonathan Clark Stratos, the project's medical director, said. Baumgartner said he wasn't doing this just to set a record. He's also doing it for science, as the jump could help NASA design better and stronger spacesuits for astronauts. Watch below the Live of this mission. Among the risks: Any contact with the capsule on his exit could tear the pressurized suit. A rip could expose him to a lack of oxygen and temperatures as low as 70 degrees below zero. It could cause potentially lethal bubbles to form in his bodily fluids, a condition known as "boiling blood." He could also spin out of control, causing other risky problems. The energy drink maker Red Bull, which is sponsoring the feat, has been promoting a live Internet stream of the event at from nearly 30 cameras on the capsule, the ground and a helicopter. Felix Baumgartner was born on 20 April 1969 in Salzburg, Austria. Felix Baumgartner is renowned for the particularly dangerous nature of the stunts he has performed during his career. Baumgartner spent time in the Austrian military where he practiced parachute jumping, including training to land on small target zones. The practical use of their invention "ions in a trap" is to build a clock that is a hundred times more precise than the caesium based atomic clocks which are currently the standard for our measurement of time. An another important use is, nearing the dream of creating "Quantum Computer". A possible application of "ion traps" that many scientists dream of is the quantum computer. In present-day classical computers the smallest unit of information is a bit that takes the value of either 1 or 0. In a quantum computer, however, the basic unit of information – a quantum bit or qubit – can be 1 and 0 at the same time. Two quantum bits can simultaneously take on four values – 00, 01, 10 and 11 – and each additional qubit doubles the amount of possible states. For n quantum bits there are 2n possible states, and a quantum computer of only 300 qubits could hold 2300 values simultaneously, more than the number of atoms in the universe. Wineland’s group was the first in the world to demonstrate a quantum operation with two quantum bits. Since control operations have already been achieved with a few qubits, there is in principle no reason to believe that it should not be possible to achieve such operations with many more qubits. However, to build such a quantum computer is an enormous practical challenge. One has to satisfy two opposing requirements: the qubits need to be adequately isolated from their environment in order not to destroy their quantum properties, yet they must also be able to communicate with the outside world in order to pass on the results of their calculations. Perhaps the quantum computer will be built in this century. If so, it will change our lives in the same radical way as the classical computer transformed life in the last century. 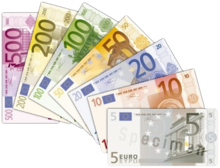 This year Nobel prize money got reduced this year.Wineland and Haroche will get less than their colleagues last year. 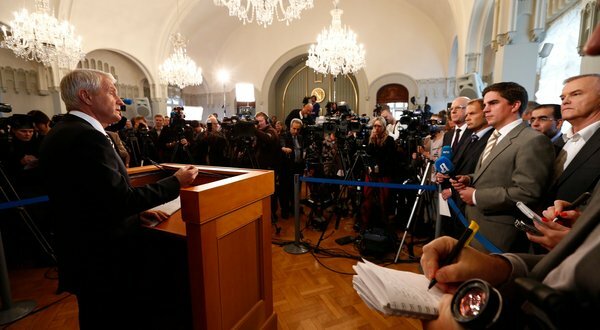 The Nobel foundation trimmed the value of the prize from 10 million kronor last year to the lowest level since 1999 to avoid “undermining” the foundation’s capital. 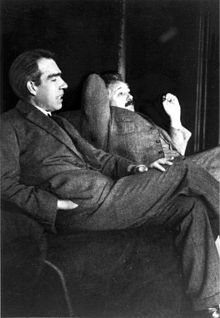 105 Nobel Prizes in Physics have been awarded since 1901. 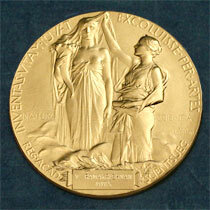 It was not awarded on six occasions: in 1916, 1931, 1934, 1940, 1941, and 1942. 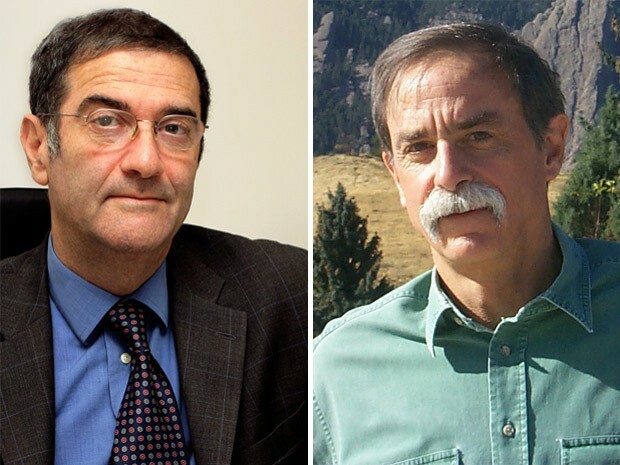 29 Physics Prizes have been shared by two Laureates. 29 Physics Prizes have been shared between three Laureates. 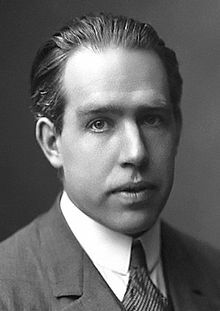 To date, the youngest Nobel Laureate in Physics is Lawrence Bragg, who was 25 years old when he was awarded the Nobel Prize together with his father in 1915. Bragg is not only the youngest Physics Laureate, he is also the youngest Nobel Laureate in any Nobel Prize category. Of the 191 individuals awarded the Nobel Prize in Physics, only two are women.